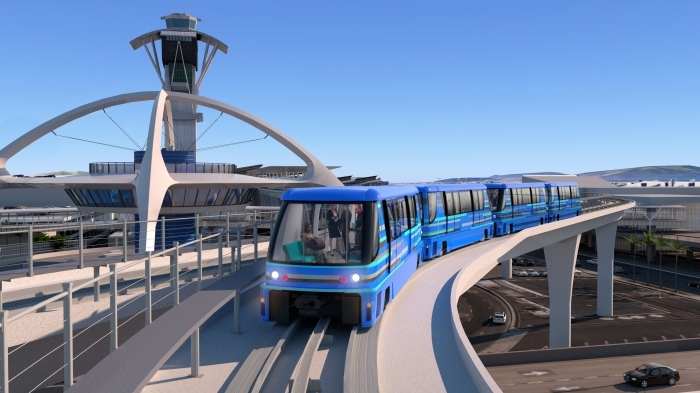 (Los Angeles, CA)The Los Angeles World Airports (LAWA) Board of Airport Commissioners (BOAC) today approved a $4.9B30-year Public-Private Partnership (P3) contract with LAX Integrated Express Solutions (LINXS) to design, build, finance, operate and maintain the Automated People Mover (APM) system at Los Angeles International Airport (LAX). LINXS' proposalhad the highest technical score and the lowest cost proposal of the three teams that participated in the procurement process. LINXS is a fully integrated team comprised of Fluor, Balfour Beatty, ACS Infrastructure Development, Dragados USA, HOCHTIEF PPP Solutions, Flatiron, and the design team comprised of HDR and HNTB. Bombardier Transportation will provide the APM Operating System, including all vehicles. LINXS brings extensive experience and expertise in delivering complex transportation infrastructure projects in the United States and abroad. On February 15, BOAC approved LINXS as the Recommended Developer and initiatedan Early Works Agreement valued at $42m, which started pre-construction activities such as hiring, soil testing, engineering and furthering design of the APM. The APM will be built using a P3 contracting model. LINXS will be designing and constructing the system and will also be responsible for operating and maintaining the system for a total contract term of 30 years. The $4.9B contract includes milestone payments for the design and construction phases, as well as authorizes future payments for operating and maintaining the APM for the contract period. “For decades, we have talked about linking public transportation to LAX and this has been a top priority for Mayor Garcetti and this Board. Today, we officially enter into a critical three decade partnership with LINXS and take our first concrete step towards achieving this historic and important goal,” said BOAC President Sean Burton. This system will bring convenience and time-certainty for guest traveling to or from LAX. Driverless trains will arrive at every station every two minutes, have wide doors for easy access with luggage, large windows for viewing, plenty of hand holds and seats for those in need. Station platforms are open air, light-filled and have escalators, elevators, and moving walkways for quick, convenient access to the terminals. Architectural features include a viewing platform of the iconic Theme Building, an Experience LA center with an 800 sq./ft. LED programmable screen and an LED light band that accents the 2.25 mile guideway. LAWA anticipates that the APM will offer a maximum ridership capacity of 10,000 passengers per hour and up to 85.1 million passengers per year. The system will be operational in 2023. The APM is the centerpiece of the Landside Access Modernization Program (LAMP), which also includes a Consolidated Rent-a-Car (ConRAC) facility, Intermodal Transportation Facility, and associated roadway improvements. The APM will reduce vehicle congestion in the terminal loop, provide a connection with L.A. Metro's regional transportation system, create new locations for passenger pick-up and drop-off, reduce emissions, and provide reliable access to the terminals. On April 11, Los Angeles City Council will consider the contract at their regularly scheduled meeting.